Chinese experts have determined that two skulls found in a historic site show evidence of ancient craniotomy. The finds are being taken to demonstrate that craniotomy, along with other advanced medicine, was practiced in China at an early date. The discoveries are also allowing researchers to better understand the development of medical treatment and surgery in China and elsewhere and offer further insights into the important Shang period. The skulls were found in the ancient city of Yin, in Henan Province. This was the last capital of the Shang (or Yin) Dynasty who were one of the earliest Chinese dynasties and who decisively shaped the early history of China. They were the first to practice writing in the region, some 3,000 years ago. The city of Yin has been excavated for almost a century and the two skulls were unearthed in a previously unexcavated area of the Shang capital. The skulls were examined at the Institute of Archaeology under the Chinese Academy of Social Sciences (CASS). This is one of the premier archaeological research centers in China. A craniotomy is a surgical procedure that involves the removal of a portion of the cranium, the bone that protects the brain. This is to allow a procedure to be carried out on the exposed brain. Once the procedure has been carried out the portion of skull removed is reattached. This procedure is also known as trepanning and it is a form of surgery that still takes place in modern hospitals. 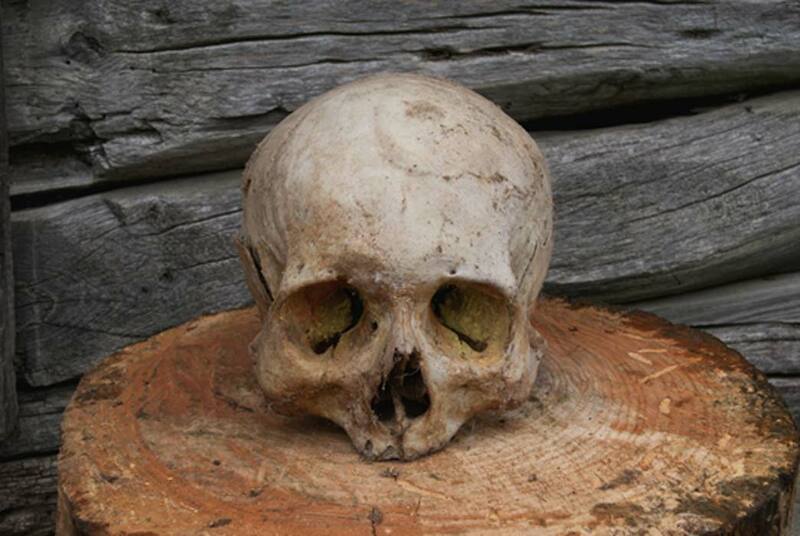 One of the skulls found belonged to a 10 year old male child. His cranium had a circular cut, that measures 1/3 inch (1 centimeter). Yue Hongbin, a lead researcher with CASS, has stated that ‘the cranium shows that it still grew after the perforation, which suggests the surgery was successful," reports Xinhuanet. The other skull that bears traces of cranial surgery was from an adult male. The incision was on the front of the skull, and it measures only a few millimetres in diameter. The Shang were familiar with a number of diseases and conditions, based on surviving inscriptions on oracle bones. They also had a profound knowledge of herbal medicine and the remains of plants have been found in the tombs of high-ranking members of the Shang elite. Some medical instruments used in therapies and possibly surgery have also been found in Yin, including four bone needles used to heal fractures uncovered in a tomb. The finds prove conclusively that the Shang were able to perform sophisticated surgery some three millennium ago. There have also been discoveries of skulls with traces of this surgical procedure found in other parts of China. In 2007, 13 skulls that had been perforated were ‘unearthed in the north-western region of Xinjiang’’ according to China.Org. It seems that several millennia ago throughout China diverse cultures were familiar with this form of operation and many people survived what was and remains a dangerous procedure. This surgery was also practiced throughout the ancient world from Siberia to the Andes. The Chinese skulls which have traces of trepanning will now help researchers to better understand the development of medicine in Ancient China. It is offering evidence that the Shang had a wide range of surgical and other techniques. This is helping researchers to "help recast ancient medical history" according to Xinhuanet. There are ongoing excavations at the Yin site and it is hoped that more human remains and artifacts will be unearthed that provide evidence of the development of medicine in Ancient China .